Hello there? If you are new to online shopping or you have been shopping online for a while, then you are aware that one of the major concerns is online security and fraud, especially when it comes to purchasing or sharing our personal information like credit card information or contact details. Therefore, it is very important to be vigilant on how you make payments online. 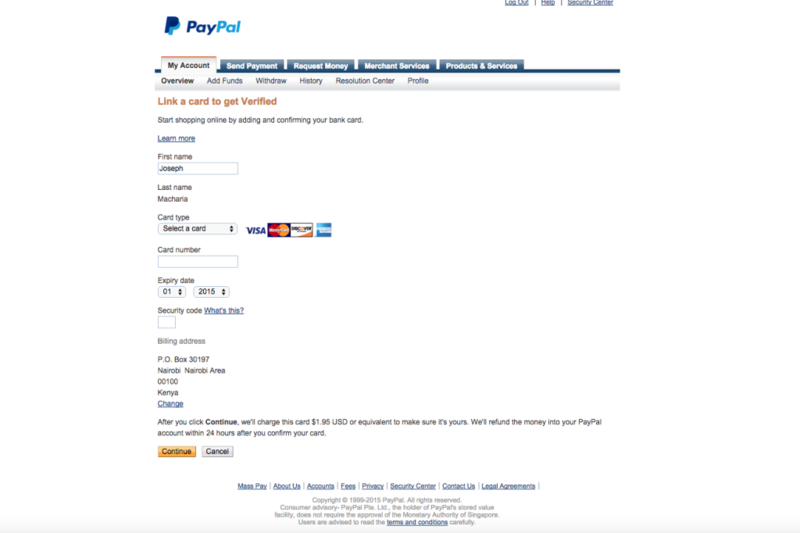 One of the most preferred methods to make payments online is Via PayPal. 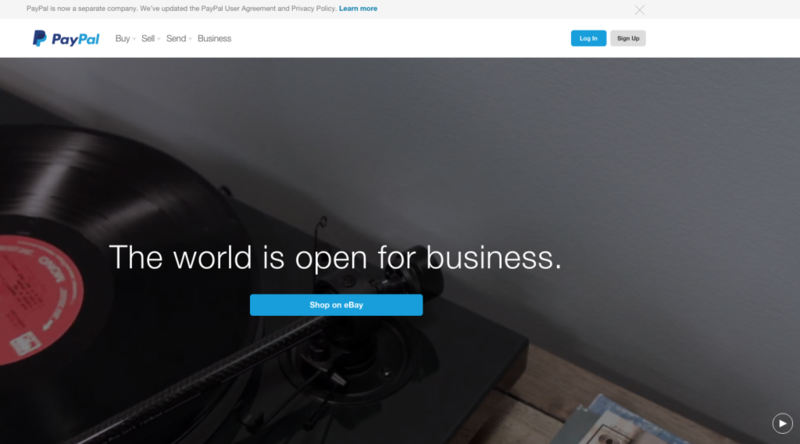 PayPal is the world’s most loved way to send and receive payments online. It’s fast, convenient and safe; at least for millions of people and for me, for all the years I have used PayPal to make purchases/payments. Personally, I tend to stay away/avoid shopping on sites that do accept PayPal payments unless it’s a world popular site, let’s say like Amazon that does not have/accept PayPal payments for the concerns mentioned. Most sellers, nowadays, also tend to use/accept PayPal payments with a goal of minimizing online fraud. The main reason why I prefer making payments via PayPal is because they have a consumer protection policy where you can raise a dispute and get your money back in case you don’t receive your goods, items don’t match the seller’s description, among other legitimate reasons. 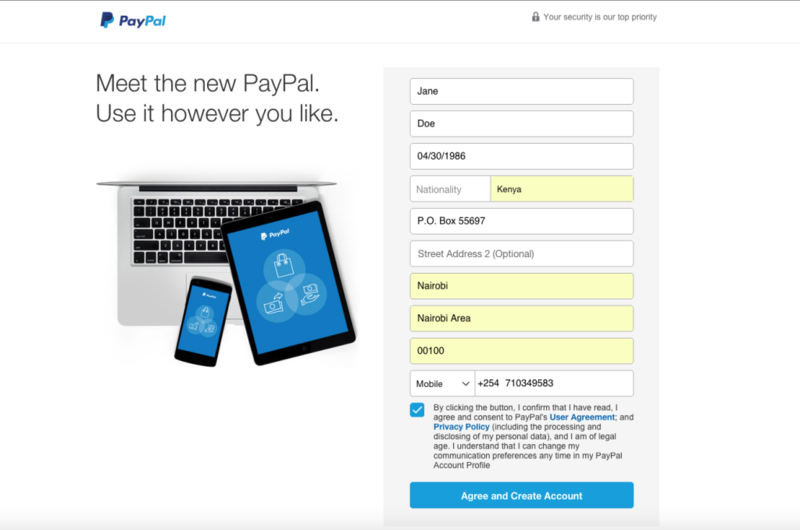 So, for those who are new to the world online shopping or have interest in shopping online, here’s how you create and verify your PayPal account to help you get started shopping online in Kenya. There are a lot of prepaid debit cards in the market but the one I’d recommend most is the Safari Mpesa I&M Visa card. I will write a post on this soon so remember to subscribe to our newsletter to get an update when a new post is up. 2. Click on the Sign Up button at top of the page. You will be directed to a new page where you will asked to choose the type of account you want, Personal Account (Recommended for personal use only like shopping online, sending money to friends and family and making payments, etc.) or Business Account (Business Account is recommended if you plan to sell items online, like on eBay and receive payments via PayPal, though you can still use it for personal use). Select ” Personal Account” for now. 4. 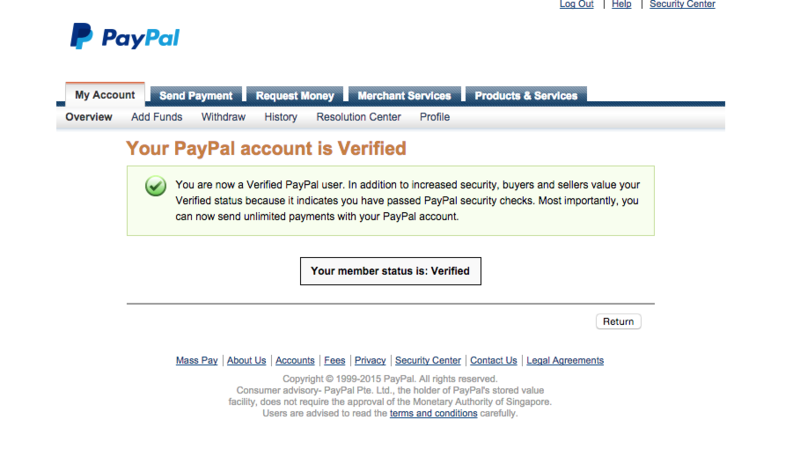 From here, Go to your email account and check for a PayPal Account Confirmation email. (An email will be sent to the email address you used to register.) 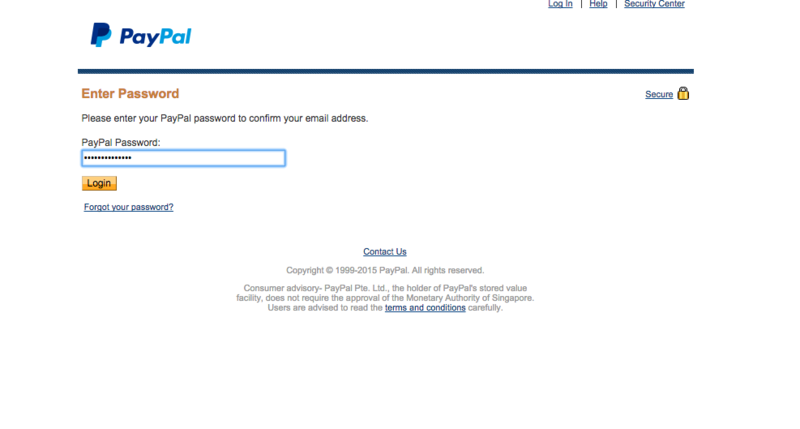 PayPal will have sent you a link asking you to click on it, so as validate your email address and account. 7. 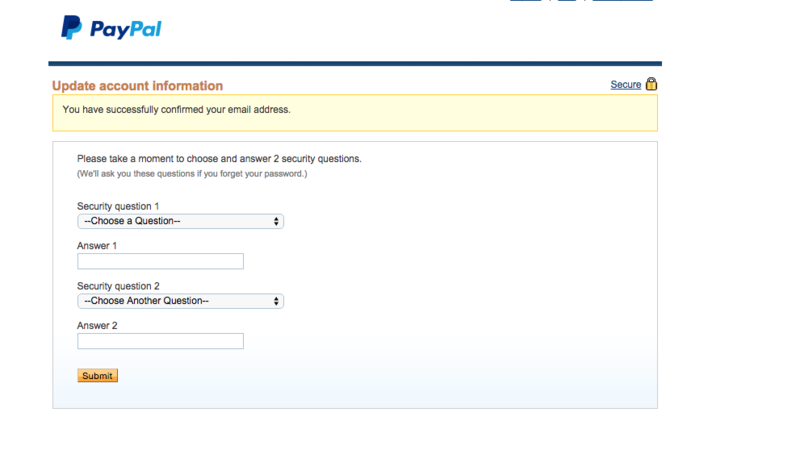 After you login, your email address will be validated and a confirmation message will appear. 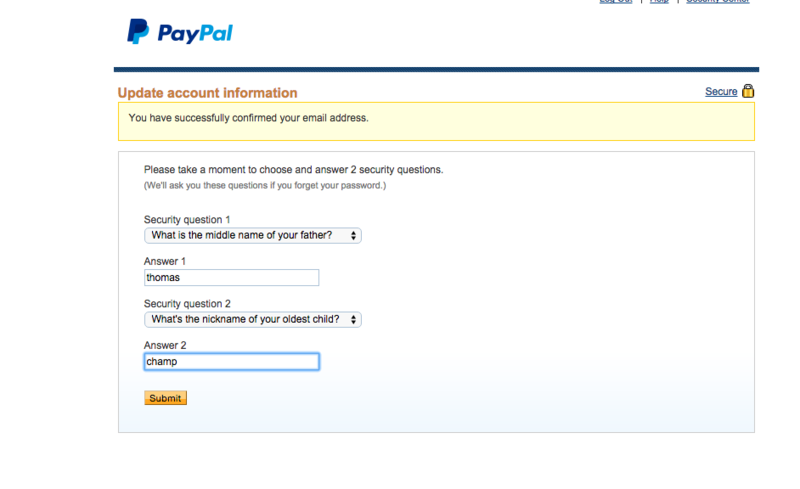 To enhance the security and safety of your PayPal account, you might be require you to set up some “Security Questions and Answers”. 8. After you do so, your PayPal account will be activated. Go to the bottom of the page and Click on “Go to My Account“. 9. 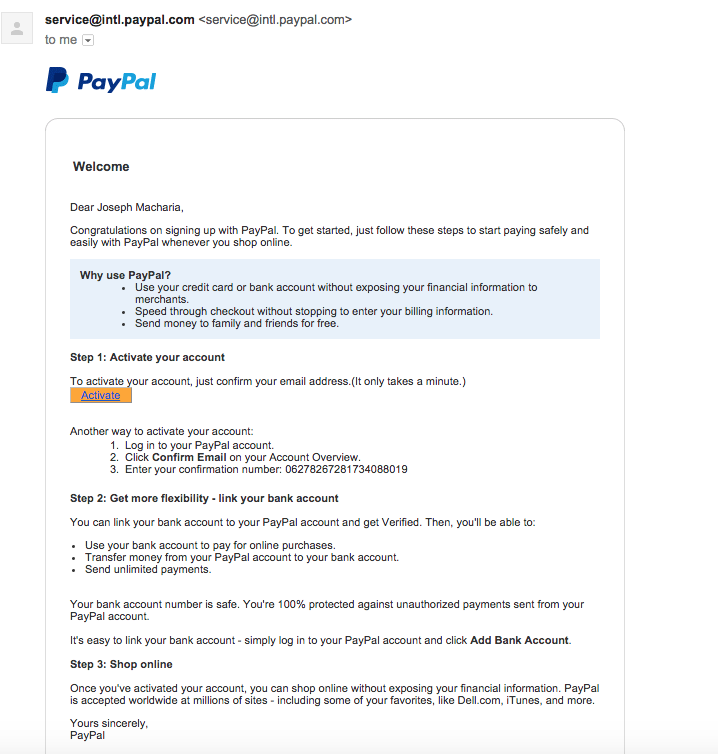 Your new PayPal account is now active and ready to use but first, you will be required to verify the account so as to raise the transaction limits. 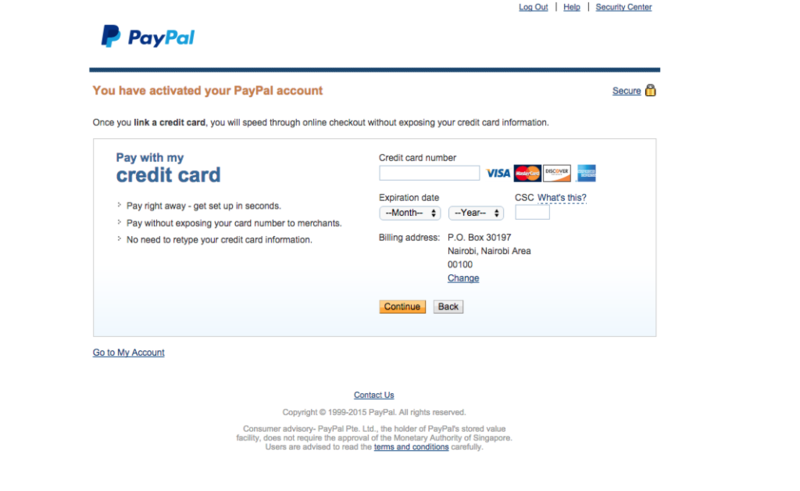 PayPal usually does this by charging USD 1.95 (About Kshs. 200) from the Credit or Debit Card that you will use to link to this account in the later steps below and sends you a verification code. To begin the verification process, Click on “Link and Confirm my debit or Credit Card” at the right side of the page. 6. After you fill in all the details, click “Continue“. As mentioned earlier, an amount of Kshs.200 will be deducted from the prepaid debit or credit card that you will have put in. You will also receive a pop-up notification (also on email) for you to get for the verification code for the transaction. Go to your bank and request for a bank statement. Look for the PayPal transaction in the statement. You should see a four digit code. Call the customer care at your bank and request them to give the four digit code from your bank statement. Check your online bank statement for the four digit code. After you verify by inputting the four digit verification code sent, the amount is refunded back to your PayPal account and your account is now ready for use. 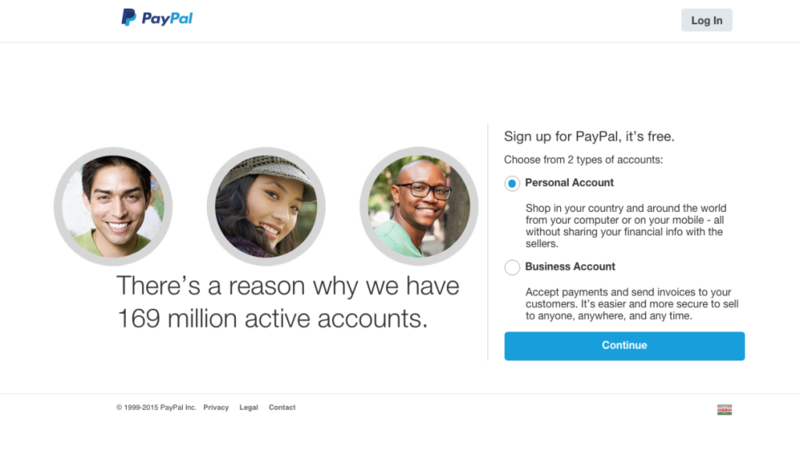 Do you feel ready to start using your new PayPal account? See our post on top USA online shopping sites that you can shop from and pay using your PayPal account. Click here. 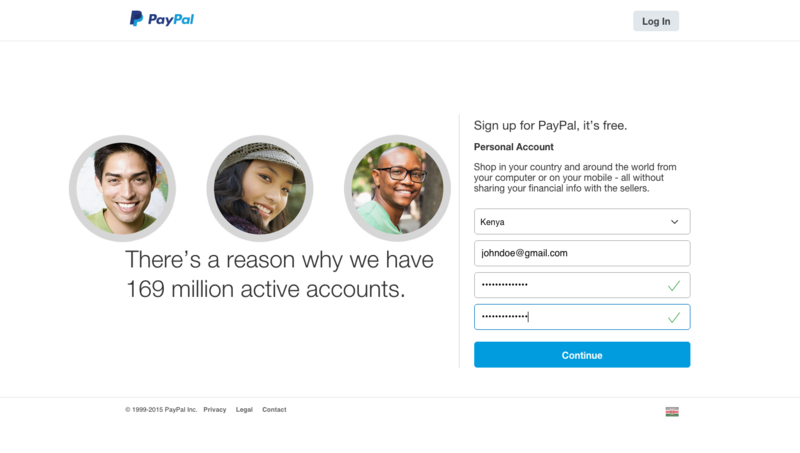 I hope this post has been useful on how you can easily open a PayPal account in Kenya, but please feel free to contact us here, if you need further assistance or comment below. Thank you for your time in reading this post.